You can now Pre-Order the SCHISM DVD! The DVD will include the movie, commentary, behind the scenes, and more! Order your copy today and be one of the first people to get your hands on it! Pre-Orders will be shipped when the movie is released in June of 2019! Click to Pre-Order! SCHISM, the newest film from Open Sign Productions and the 2nd feature film by Michael Storch, tells the tale of a young man named Christopher who faces off against his former Pastor who leads him on a journey into the darkest recesses of his mind and onto the shores of Hell itself. 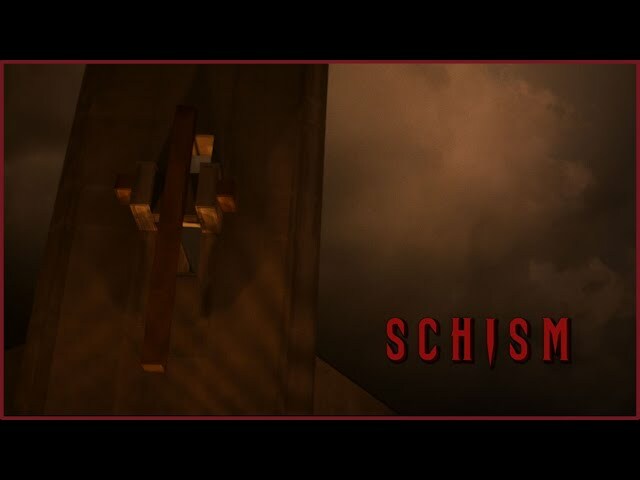 Schism is a supernatural and psychological horror that deals with the occult, demons, and the tragic quality of human isolation in a world that never sleeps. Like previous Open Sign projects we intend to set new standards for ourselves and will bring forth our most horrific and terrifying movie yet. Production is slated to begin during the winter of 2016 and continue throughout most of the year with a release slated for 2018.